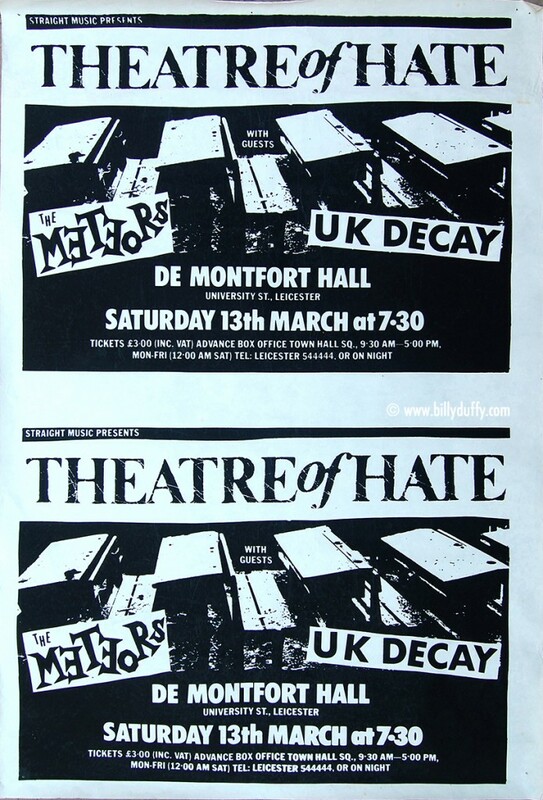 Poster from one of the gigs that Billy played in with Theatre of Hate. De Montford Hall, Leicester, England 27th February 1982. This poster from Billy's collection is interesting because it is an untrimmed version with two posters printed on a single sheet of paper.